Vancouver, BC, December 11, 2017 — Paul Mercs Concerts is pleased to announce a second show date for Steve Martin & Martin Short with Steep Canyon Rangers. Vancouver, BC, November 27, 2017 — Paul Mercs Concerts is pleased to announce the 2018 show date of Steve Martin & Martin Short with Steep Canyon Rangers. 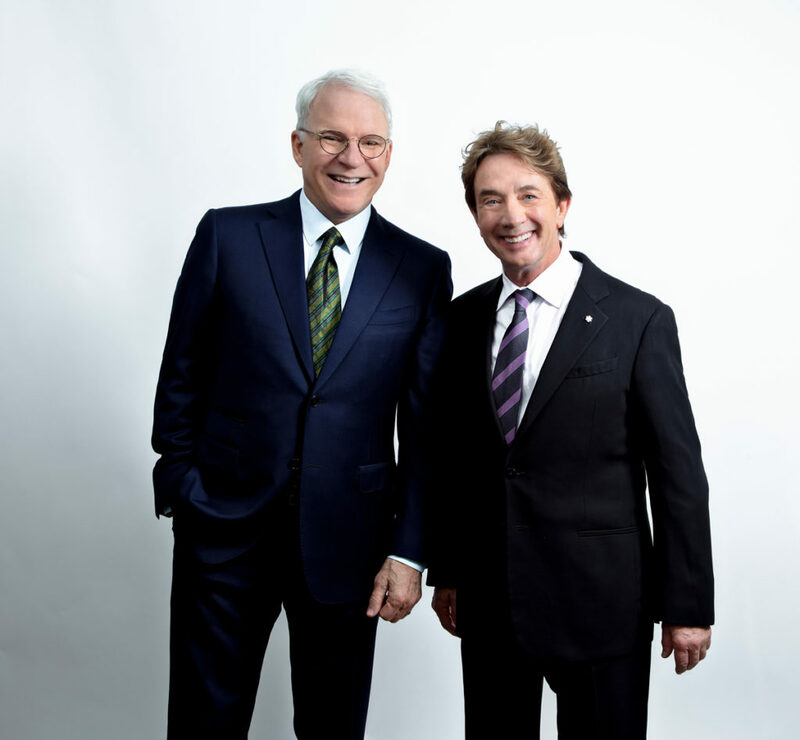 Longtime comedians Steve Martin and Martin Short will appear at the Queen Elizabeth Theatre for one night only. The show, “An Evening You Will Forget for the Rest of Your Life,” will include stand-up, film clips, musical numbers and conversations about their lives in show business. Martin and Short will be joined by the Grammy® Award-winning bluegrass band The Steep Canyon Rangers and renowned jazz pianist and Jimmy Kimmel Live band member Jeff Babko. Steve Martin is one of the most acclaimed and beloved talents in entertainment. His work has earned numerous honors including an Academy Award®, five Grammy Awards, an Emmy® Award, the Mark Twain Award and the Kennedy Center Honors. Many of Martin’s films are considered modern classics, including The Jerk, Planes, Trains & Automobiles, Roxanne, Parenthood, L.A. Story and Father of the Bride. As an author, Martin’s work includes the novel An Object of Beauty; the play Picasso at the Lapin Agile; a collection of comic pieces, Pure Drivel; a best-selling novella, Shopgirl; and his memoir Born Standing Up. His latest play, Meteor Shower, will premiere on Broadway this November 29th in a production starring Emmy Award winner Amy Schumer, Keegan-Michael Key, Tony Award® winner Laura Benanti; and Jeremy Shamos, and directed by four-time Tony Award winner Jerry Zaks. Martin is also an accomplished Grammy Award-winning, boundary-pushing bluegrass banjoist and composer. In 2013, he released his third full-length album, Love Has Come For You, a unique collaboration with songwriter Edie Brickell. Love Has Come For You won a Grammy for “Best American Roots Song” for the title track and inspired their musical Bright Star. Bright Star received five Tony Award nominations and received Outstanding New Broadway Musical and Outstanding New Score at the Outer Critics Circle Awards. Martin and Brickell’s second album together, So Familiar, was released on Rounder Records and featured 12 remarkable songs that bought the acclaimed duo’s musical collaboration into fresh creative territory. Martin and The Steep Canyon Rangers recently released their newest collaboration, The Long-Awaited Album, on Rounder Records.